One of the foremost panic individuals who intend to get into the import business face is that of fraudsters who portray themselves as international suppliers or companies. This is no surprise as the rate at which scamming schemes are now being devised to exploit well-meaning business individuals is getting alarming. On Alibaba, for instance, I have heard of a number of individuals who have complained about fraudulent companies with whom they have transacted business with and gotten defrauded at the end of the day. At the same time however, there are some customers who have testimonies about transacting business with companies listed on Alibaba; so it is a critical choice to choose the category you wish to register an experience with. This is a particular challenge to persons who have little or no idea about the business of importing. Thank goodness you are here now, hopefully you would get sufficiently vital information to overcome that fear and move on with your intended business. The following considerations and steps are strongly recommended to be met in order to avoid being scammed when importing foreign products. It is important that aside from the company’s name, you should go through any profile pertaining to the company you can possibly access; from business type (if it is a manufacturing, trading company etc. ), management records and certificates, the legal representative, registered capital, and even registered address. Go on to ask the company you want to import from to give you a number of references that they have transacted business with and upon receiving names of such companies, promptly verify by contacting such companies, as well as scratch out all the possible information you can obtain from the reference companies concerning the company you intend to do business with. So, it’s all about the internet presence they have; check out their website to know how voluminous their dealings are; then check their phone and fax numbers. Check out for complaints or commendations and feedbacks. Avoid companies that emphasize on massive advance payments as well as utilize bank transfers in carrying out transactions. For credibility and safety, it is advisable to adopt payment methods that are professional, especially if it is the first time you would be transacting business with the given company. One such professional service is the Letter of Credit, and another is a credible Escrow service. This does not remove the possibilities of a fraudulent escrow service; however, note always that Letters of Credit are never sold. This is a necessary process before you place an order for goods to be imported. The use of the sample requested is for the purpose of verifying the degree of quality possessed by the products, as well as check if they tally with what you really wish to import. Do not forget that you would pay for the sample, though at a lesser price when compared to conventional import costs. 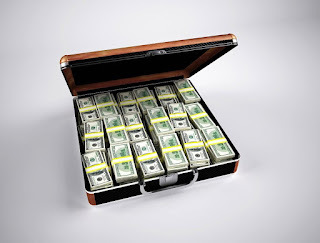 This approach can hardly be overemphasized in terms of the extent to which it can save you costs that would have befallen you either through scam or slim quality. However, if you do not want to incur the cost of traveling, you could pay for the services of a third party to visit the company at their location which you should have verified initially for authenticity. It is often said that “if it sounds too good to be true, then it indeed probably is”. The message should have been conveyed, however, just for the sake of emphasis, never take the bait of extremely low prices compared to usual market prices; raise your gage of suspicion. You should know also that the fact a company says or is listed as a gold or platinum supplier does not imply a 100% guarantee of trust. Extra measures should cleverly be taken to verify such claims, and one very intelligent step is to look up such business in the archives of the local Chamber of commerce. Utilize resources that are free such as Internet Crime Complaint center, econsumer.gov, International Financial Scams; they would help you get more knowledgeable about scams and other fraudulent schemes that go on in the internet or more precisely in the business of avoiding them. More knowledge about these schemes gives you more grounds to avoid them and be safe. It is of a cautionary note to that you take the necessary precautions before diving into the trade of importing products from outside country. Follow the appropriate steps against scams and have yourself a happy importing experience. With spend management solutions, businesses will have increased compliance, data accessibility for improved decision-making and a better idea of spending, making it easy for you to focus on better planning. Around 40% of companies use pen and paper, 27% use Microsoft applications such as Excel to generate expense reports. These old-fashioned paper-based processes are difficult to track, erroneous and vulnerable. All these make employee-initiated spending the second largest controllable expenditure for most organizations. Cumbersome spend management processes would slow down the reimbursement process. More than 80% of employees state it takes more than a month for expenses to be approved. Mostly, employees get benefit from features such as direct deposit, expense report automation, integrated travel booking, mobile receipt capture, and approval. Automating internal processes and moving to cloud-based expense report systems is where you have to put in an effort to streamline the processes. This way you can set clear budgets for various categories of corporate travel. With improved expense reporting process, organizations can better control costs and cut down spending by switching to software-as-a-service solutions. Cloud-based expense report software requires less maintenance compared to legacy systems or in-house solutions that require a lot of administrative work. Cloud-based solutions allow us to easily integrate with other internal systems that a part of the internal processes. Say, the accounting system is a part of the reimbursement process. When you have on-premise systems, you have to maintain data in two different systems, which would require you to manually enter the data into two systems. This would waste a lot of productive time for your finance/accounts department. In contrast, having a centralized system can help you access data between the systems. This allows you to easily interface with the systems and gives you room to analyze the data and make informed decisions. Besides cost savings, scalability and security, cloud-based solutions can help businesses focus on strategic initiatives rather than expense report filing. Automating spend processes can cost a fraction of legacy systems and provides immediate returns on investments. 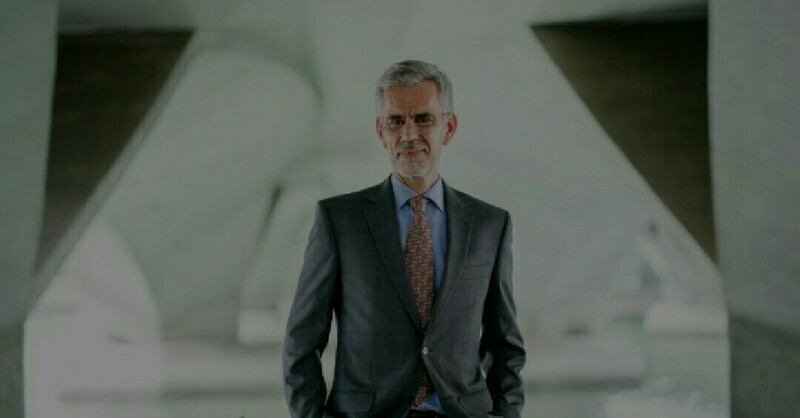 The benefits of spend-management solutions exceed beyond financials. Mobility is the best characteristic that users would most like in the automated system. Mobile features such as automatic receipt capture, report creation, and approval are important as workforce become more mobile. Going mobile not only saves employee time but also speed up the internal processes. Mobility alleviates the need to save receipts as employees can just snap a picture directly from their smartphone and attach the receipt to the expense report. Besides this, GPS is another feature wherein employee can track the distance traveled while on the business trip. This prevents the ability to commit mileage fraud as the total distance gets directly populated in the expense report. Employees who travel frequently should be able to book travel plans, submit invoices or approve travel requests directly from their mobile. This is where your spend management system should include travel booking system. Having a travel booking portal such as SutiTravel allows businesses to define custom rules and policies within the system, so when an employee tries to book an out-of-policy travel, the system restricts when making a booking. This way you can avoid employees from booking out-of-policy trips. Pre-trip approval requests are one more feature that helps you to stay within the budget. In pre-trip approval process, employees should submit an expense request listing the estimated expenses. These travel requests will be sent for approval. Upon successful business trip, employees can directly convert these requests into expense reports, saving a lot of time for both employees and reviewers. Also, this helps you to define budgets for itneraries and control overage spending. The integration allows you to pull-in the travel data directly from the portal to the expense reporting systems. So, employees need not spend time entering the travel data again into the expense report. Similarly, your spend system should integrate with accounting and invoice solutions so as to streamline other processes. A modern spend management system allows you to deal with travel, expense reports or invoices in a better way. Choosing a solution such as SutiSpend management system not only streamlines internal processes but also makes it easy for you to manage to spend company-wide. Our integrated system allows various departments to stay connected so you can gain a complete picture of spending, enrich employee experiences, improves decision making, increases compliance and focus on strategic business objectives. specializing in Business, ERP, Technology and Cloud/SaaS trends. In Nigeria, private schools are becoming very rampant, mostly nursery schools and primary schools. With the current rise of basic schools in Nigeria, it is possible to estimate that in the next 20 years, private schools can be located in almost every 500m in every given location in the country. While this is an appreciative development because it has created a competition which has gingered many owners who previously dived into such establishments due to profit to now look and peer into value as students and pupils leave when they find better schools offering better and competitive values around, we also need to consider such vital steps for creating value and succeeding as value-based owners before commencing such establishments. 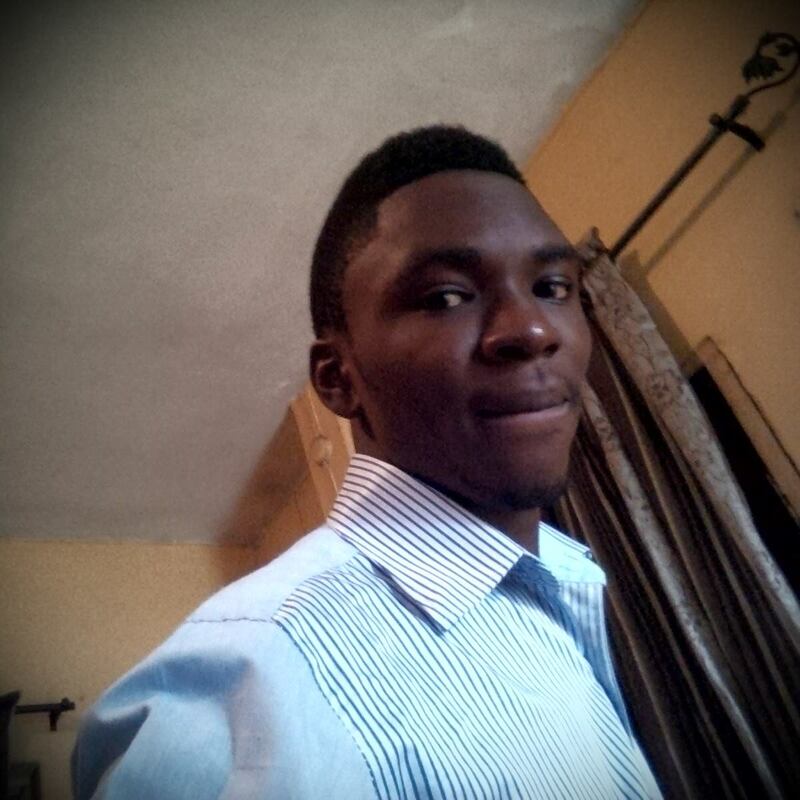 To many, perceptionally starting up a School in Nigeria is easy. Well, yes it's easy to start up a quack school as long as you have enough funding for camouflage and deception. However, being a successful school owner or becoming one entails more than just capital investment, there are other key areas to watch and build in order to achieve this aim and stand out amidst thousands of seemingly successful schools who have little Academic value. Let's look at 5 ways to be a successful school owner in Nigeria. You must be principled In all your dealings as a school owner. Your principled nature should reflect in how you discharge your duties as an employer and a Director of your school. Understand that expectations are high and so many people are looking up to you or would want to look up to you. Also, be official in your dealings. Leave pleasantries when it comes to work. Even if you have kids who are your very own kids in the school, try as much as possible to jilt favouritism. Deal with them the very same way you would deal with others when it comes to academic relationships. They're your kids at home and your students in school. This is one way a principled school owner reflects this asset and thus increases chances of gaining more students. Some students would give you tough time, depending on your level of engagement with the school and what level of school it is you're running. If you're a director who just visits once in a while perhaps once per term, you may not witness or have this problem with stubborn kids or the associated stress of teaching block-heads, you may only hear a few reports from your staff if your position allows that. But if you're a principal or even a teacher in your school then, you would have to witness full effect of this. Also, this problem of troublesome kids increases more with secondary school Students or even pupils or primary 5 and 6. Now, this is where you'd need to effect severe discipline. Discipline is one serious aspect of school development and to succeed as an owner you must look intently into it. Ensure that your teachers discipline students at all times when they offend, also ensure that you have a code of conduct which is signed by every parent and their wards from the inception of admittance or registration. While you want to be principled and disciplined in your actions, you do not want to scare people away from you. You do not want to be seen as overly strict or unapproachable. Try to be a generally jovial person who only disciplines when necessary. When students of your school understand you as being approachable, they could confide in you about certain problems they face in your school which you could work own to create a better learning platform. This in effect even attracts more and more parents from positive gossips to bring their kids to your school. Staff qualification is another important aspect of education. Qualified and competent staff guarantee quality education and of course you should know this attracts pupils and students who naturally have an affinity for quality teaching. It wouldn't be a wise decision employing unqualified staffs perhaps because you're trying to be economic when apparently it's clear you can afford to get and maintain good teaching staffs. Well, this aspect should be part of your business plan, there should be a part that states the minimum qualifications each staff or staffs who would handle specific positions should have before being employed. When your teachers teach well, your students are proud to brag to their friends and peers of how well their teachers can teach and how better off their school are than theirs. Environmental factor is the very first thing conscious parents check when they visit any school for the enrollment of their kids. Most parents take a brief survey of the environment before deciding on whether or not to go forward with pushing their kids in. A noisy environment would neither attract parents nor students because logically there would be zero concentration. Also a dirty environment perhaps one situated nearby a waste disposal unit or a borrow pit even if it is just few miles away is definitely not a good one and even if you have recruited students already, in due time they would leave when they find better places because parents are very much concerned about the hygiene and health of their children. Additionally, your extended environment might be clean and conducive but what about internal sanitation? It needs to be properly checked! Are you an entrepreneur or investor? Looking for the best small business ideas in Kenya to start with? If yes, here are the list of best small business opportunities in Kenya to invest in. Kenya is a country located in East Africa and has about 49.7 million population as at 2017. As an entrepreneur or investor who is willing to start any kind of business in Kenya, it will be very ideal of you to get to know the benefits and challenges you would face when running a business in Kenya. 1. Kenya was ranked as number 92nd of ease of doing business by World bank in 2017. 4. Kenya is generally considered to be the economic, commercial and logistics hub of East Africa. 5. With a strong diversified economy, Kenya has become the center and headquarters for many industries in the area. 7. Kenya is the most advanced and largest economy in East and Central Africa, with strong growth prospects supported by an emerging, urban middle class. 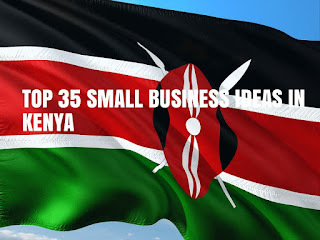 Top 36 small business ideas in Kenya. Agriculture is noted to be the second largest contributor to Kenya's gross domestic product. An entrepreneur can take advantage of this sector by going into the plantation of cash crops(such as tea, coffee, cocoa, and spices) these can be exported to other neighboring countries in other to generate income. You just have to identify the most fast-moving and profitable agricultural products that thrive most in Kenya. This is another thriving and lucrative small business idea to start in Kenya, reasons because with the large population and a good number of vehicles, not everyone can maintain their car through professional washing service, what they do is take to take it to car wash center and they get it done for them and pay them for their service rendered. You can set a pace for yourself in this small business by getting a good business location(most especially busy location or close to major roads) and invest in the required car washing tools. The real estate industry happens to be a profitable one to go into not only in Kenya but across different part of the world. An entrepreneur can go into this sector either by going into real estate agency. You need to know have the knowledge about this business by getting yourself acquitted with an experienced real estate agent in your locality and also have a reasonable capital to kick start this business. Food is known to being one of the highest lucrative business of all time. People wouldn't go a day without satisfying their bellies, not everyone has the time to make meals for them self-based on the nature of their jobs and businesses. If you are a great cook consider this business specially made for you, you can start making popular and most loved foods in Kenya such as the Ugali, Irio, Githeri, Kenyan pilau, Matoke, Bajia, Mutura and so on. You just have to make tasty foods and market your business in different streets within your locality in other to pull in more customers. You can offer professional cleaning service to small and big business firms, one interesting part is that this business doesn't need any certificate before you can venture into it. To get started in this business, you need to get in touch with business firms who are in need of professional cleaner in other for them to have a better working business environment for their customers. Poultry farming is another profitable business idea to start in Kenya. Eggs, chickens, and turkeys are mostly consumed on a daily basis in Kenya so it will thrive a lot if you decide to venture into the poultry farming business, a good approach to this business will be very important. Cost between KSH50,000 and KSH100,000 for smaller markets. You can start up a cereal shop in Kenya in a very strategic and busy location where you sell cereal products such as beans, maize, groundnuts, green gram, porridge flour, and rice. To get started, you need to get a supplier of cereal products from different brands in wholesale price and then sell it at retail price in other to make you profit and also let them know the type of stock you may need. Most people living in Kenya are the working class and business owners who have little to no time to take care of their untidy clothes. An entrepreneur can easily take advantage of this business by even starting it straight from your home. The first step in starting this business is to invest in laundry tools such as washing machines( you can purchase a 2nd hand one if you don't have enough money for the new one), iron board, detergents, and other laundry equipments and also have an aggressive marketing strategy. To retain your customer base, you need to provide them with the best laundry service. This industry happens to be one of the best small business ideas that thrives the most and at the same time, it is profitable because you can make money on a daily basis if you know how to play your cards right. You have three options when starting a transport business, either you start with a tricycle, motorcycle or minibus. Get your transport business registered to avoid getting harassed by road officials. Situating yourself in a busy location will be a good move to make when starting this business. Selling of mobile phones is a lucrative small business idea to start in Kenya because the number of people who wish to communicate between themselves and making use of the internet is increasing every day by day. If you pick interest in this business, you can start purchasing quality phones from well trusted and known phone brands such as Infinix, Tecno, Samsung, Lenovo, and Gionee. You can make good returns on your investment if you have a good business plan. An entrepreneur can start any manufacturing business ideas either by manufacturing products that are highly needed in Kenya such as building blocks, creams, aluminum windows, detergents, bottled/sachet water productions, purses/handbag production (try making it with Kenya native fabrics) and many more. Video game business can easily be started because it doesn't require much capital. Most people love being entertained, you can start a pace in this business by getting a good business location with high traffic footage in Kenya. The things you need to invest in are popular game gadgets such as PlayStation 2, 3, &4, television sets, standby generator, chairs, and standing fans. You can equally get a second-hand PlayStations, t.v sets, and generators if you don't enough money to get a brand new one and also consider getting quality ones. With the increase in rate of people who are planning to get a new house of their own and renting an apartment in Kenya which has to be a major concern among Kenyans. You can start by manufacturing and selling most used furniture products such as chairs, tables, wardrobes, shoe rank, wooden doors, and kitchen cabinets in return, you make handsome profits on your investment. Starting your own pharmacy store is a lucrative business to think of in Kenya inasmuch as human lives are concerned, people need to be taken good care of whenever illness comes either by taking prescribed drugs by an health personnel. This business is highly regulated by government in most countries, so you need to have your license at hand, and make sure your documents pass through the legal procedure by health bodies governing Kenya to avoid being shut down from the business. Is livestock feed production a profitable venture? Let the following numbers entice you: the worldwide animal feed market was valued at 14.9 billion USD in 2013 and it is projected that it will hit over 20 billion USD by the year 2020. You can learn more about this business from already existing livestock feed production venture within or outside your locality. With a good business plan, business funds and your marketing strategies at hand, you are good to go. Selling of fruits happens to be one of the best lucrative business to start with little capital. To get started in this venture, you need to locate various fruits suppliers(mainly you should target those in towns/villages where fruits are mostly planted), get a good business location( a busy or commercial area will be perfect). In a busy and well-populated city like Nairobi, Mombasa, Kisumu, Nakuru, and Eldoret. They will be many different activities going on such as business seminars, events, weddings and much more. It will be a good idea for an entrepreneur who is planning to start a business to venture into rentals business where you rent out chairs, tables, and canopies to those that are planning to host various occasions in return you will make a good profit. 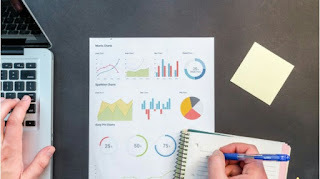 First and foremost, you need to have your business marketing strategies in place, purchase quality chairs, tables, and canopies in a reasonable quantity. Also, have a means of transporting it to various locations either by getting your own truck or hiring one. Mobile phones are man-made and can develop faults at any time, so the only way to get it fixed is by taking it to an experienced phone repairer who knows what caused the problem and how to provide the best solution. Mobile phone repair can be learned through acquiring the skill from an experienced and skillful phone engineer. It comes with two options when learning phone repair either hardware or software but you need to start with the basic which is hardware. Once you have gotten yourself acquitted with the skill then you need to raise capital, have a business plan and kick-start the business. With the high rate of vehicles in Kenya, most vehicles are prone to developing faults at any time and must be fixed by a mechanic. First and foremost, if you are interested in starting your own auto mechanic business, you need to learn the skill through skill acquisition program or you pay some certain amount of money to an already existing experienced mechanic to teach you the skill. This business can easily be started from home with little capital and investment in equipments used for making snacks. Snack business is another alternative for stay at home mums in Kenya. You can learn how to make snack products easily online. Becoming a major distributor of popular soft drink brands such as Coca-cola, Pepsi, and Coastal bottlers is a viable small business idea to start in Kenya. You just need to have the knowledge of the game, starting this business you need to purchase soft drinks from major soft drinks companies at a wholesale price and sell them to those that are need of it such as the restaurant, supermarkets, and those hosting an event at a retail price for you to be able to make your own profit. You just need to have own personal truck which will enable you to transport soft drinks to various cities in Kenya and also have your own business location so that people can reach out to you easily whenever they need your service. Mini importation has become one of the best viable small business idea to consider going into if you know the rules of the game. This business doesn't require much capital for setup. You can learn mini importation through an online course which you will certainly get for a certain amount of money. Most mums in Kenya are the working class type while some are the those who are managing one business or the other, leaving home as early as possible and probably returning late . They will have little to no time to be taking their kids to the working place. What they do is to take them to a nearby daycare center, if you love kids and you need a small business opportunity to start then this business is a good option for you. The children's safety should be your number one priority. Insecurity has been a major challenge in Kenya and this is a good reason an investor should give it a second thought by starting a security company where you train and recruit young people on security tips. This type of business needs aggressive marketing strategies in other to attract individuals and institutions that may require your service. A good approach to this venture will be very paramount. Not everyone has the money to purchase brand new designer clothes, rather they go for cheaper and fairly used one. This is one of the highly thriving and profitable business ideas in Kenya an entrepreneur can easily start with little capital. You just need to know where you can get quality used clothes in Kenya by getting more information from those who are already in the business. Cyber cafe business has been recognized as one of the most thriving and profitable businesses in Kenya. This is a gap for entrepreneurs to fill in by starting an internet cafe business where you offer internet services such as internet browsing, online registrations. 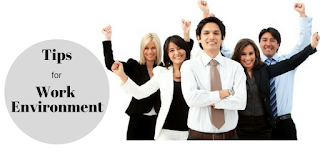 With the unemployment rate in Kenya, starting a venture in the recruitment agency will be a very good option because most local and foreign companies are on the lookout for qualified and skillful employees to help fill different positions in their various companies and the best way they achieve that is by patronizing recruitment consultant as they find it very effective and easier way of employing people at low costs and valuable gain. 1. How much capital is needed for investment? 2. Am I good at networking? 4. Are you knowledgeable about human resources? 5. What are the marketing strategies you need to take to attract clients to your business? Butchery business is one of the thriving small business ideas to start in Kenya inasmuch as meat is consumed every day and is also considered to be a good source of protein. You can start your own butchery business on a small scale either by checking out other butchery venture and know how it is being managed. Getting to know where you buy livestock is a good thing to take note of most especially goats because some breeds come at an affordable price. Finding a good business location is a key to success in this business. Starting a boutique business in Kenya where you sell brand new designer shirts, bags and shoes is a lucrative venture to think of because most people don't mind buying expensive designer wears as long as they look best in their outfit. You just need to decide which niche you would like to target, is it children's wears? men's wear? or ladies wear?. Most clothes brands have an online presence with contact information where you can reach out to them and purchase clothes in large quantity and at a wholesale price. One of the key tenants to this business is to buy at low and sell high. Selling of native and foreign fabrics is a profitable small business idea to think of starting in Kenya. You can choose to purchase fabrics from Uganda, Nigeria, Ghana, and Tanzania in large quantity and sell it out in smaller divisions to tailors that are in need of it. With an increase in interest in education in Kenya, an entrepreneur can start a bookshop store in a locality surrounded by schools or with high traffic footage. Reading helps increase literacy and this can help improve society so this business can never die out. 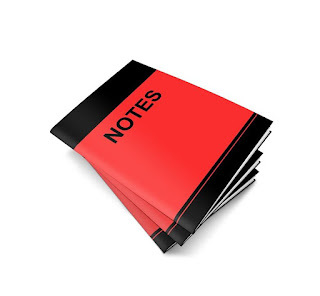 You just need to locate where you can get stationary materials and books in large quantity. Make more inquiries from already existing stationary store on how to suppliers. You can start your own barbershop easily in Kenya because this business only requires you to be skillful when giving your customers a haircut which you can learn from an experienced barber in your locality by paying him to teach you the skill, with Ksh5000 or thereabouts you can acquire barbing skill within few months. Once you have known the in and out of the business then you need to consider raising capital for your business and getting a good business location. 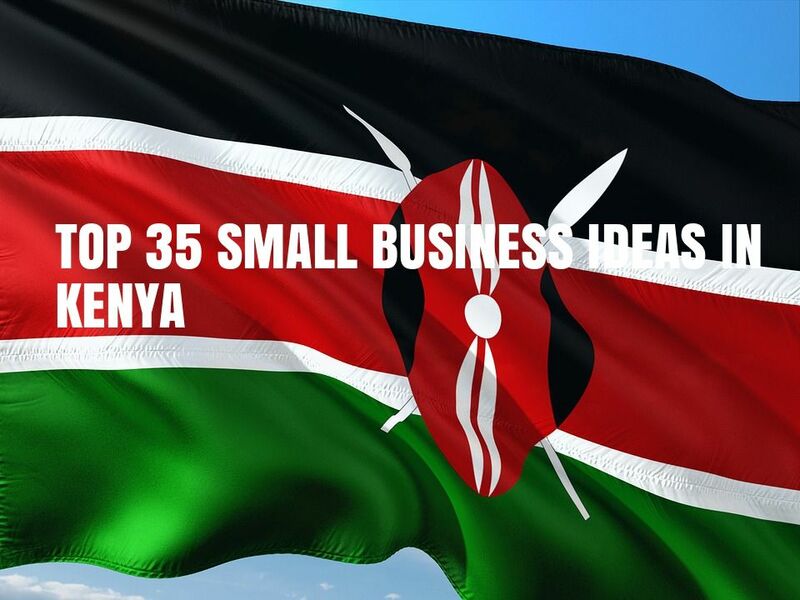 They you have it, Top 35+ small business ideas in Kenya and their cost estimates. With these listed above, an entrepreneur or investor can choose to pick anyone based on the one their interest falls in. I wish you all the very best and success in your business. As a small business owner, nothing motivates like the hope that your enterprise will eventually buy you financial freedom. Sadly, it's not every entrepreneur that gets to see this reality. It has been reported that only 33% of small businesses make it to t heir 2nd year anniversary. Although most entrepreneurs set out with foolproof business plans, well researched market analysis and an attitude that could bring down the moon, they seem to loose motivation, money and the enthusiasm to continue as time goes o n. It is my opinion that such entrepreneurs got more than they bargained for because they were not prepared for the challenges when the complex responsibility of maintaining the balance in a densely competitive market place came knocking. 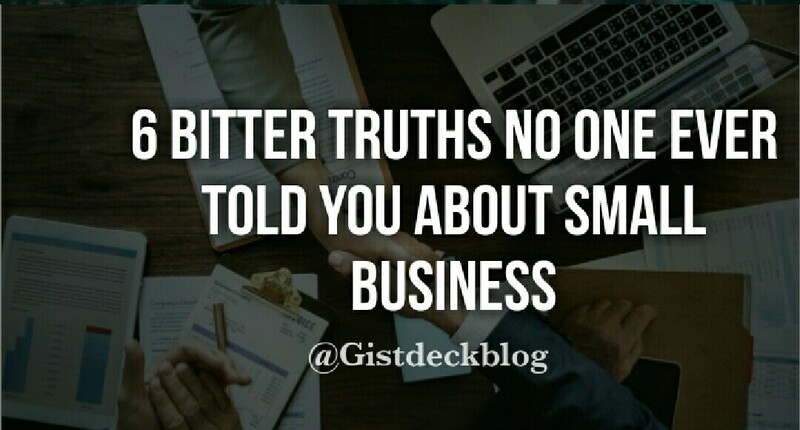 Below are 6 little truths every small business owner should know about small businesses. Many startup entrepreneurs entering the market place come with the illusion of recovering their invested capital in the shortest time possible. This puts undue pressure on both the entrepreneur and the business in general. There is need for every small business to establish an enduring business brand before going to maximize profits as no building can stand firmly and securely without a strong foundation. It is important to avoid putting the cart before the horse to prevent business failure. 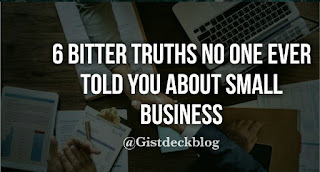 Every small business entrepreneur must give himself ample time to establish a clean chain of command, mode of operations, proper market presence, efficient bud geting and record keeping strategy, excellent customer satisfaction and commiserate staff salary and allowance structure. As a business entrepreneur, you need to understand that the market place is designed as a reward system and revenue is only generated based on the value added. This is a rarely discussed factor that affects all small business entrepreneurs. The fact is that the journey into the realm of financial freedom will definitely take it s toll on you emotionally, and otherwise. This happens because you will have to work for longer hours, make complex administrative decisions and adhere to a strict budgeting structure.Society has a way of misunderstanding every entrepreneur with the determination to succeed; so you must get used to criticisms and feelings of loneliness. These are the price you as business entrepreneur must pay if you're to succeed. It is important to be able to switch roles, as a small business entrepreneur, between leadership and management. As a leader, the vision for, and eventual outcome of the business is your personal responsibility. This is usually an enormous weight to bear because you are to blame, or to be praised for the success or failure of the business. As a manager, it is also your duty to coordinate the daily operations schedule of the business. Most small business owners make the mistake of outsourcing the management of the business; this is ill advised as you can't give a new born baby to a nanny to nurture. You need to prepare yourself for duties such as accounting, budgeting, employee relations, customer relations, branding, sales and marketing,etc, because swapping between these roles will be psychologically and emotionally challenging. Many small business owners become frustrated when the little profits made are swallowed up as taxes. Be that as it may, it is advisable to forge the habit of prompt tax payment to avoid legal action against your business which could affect your brand. In preparing for competition, you should prepare for the worst and hope for the best. Every business faces internal and external attacks and oppositions, especially from more established corporations. It's best to create a unique market presence (brand) and perfect your unique selling proposition. Lastly, it's important to know that mistakes are part of the game. It's important to allow yourself make the necessary mistakes that build the right character and tenacity for success. Don't allow your mistakes to end your dreams, but use them as stepping stones to success. Mistakes allow us to explore our strengths and weaknesses and to become aware of them. Mistakes are the rungs in the ladder of mastery.